As a parent educator, I often tell my students: we can’t make our children do something before they’re developmentally ready. We can encourage them, provide opportunities to try a new skill, model behavior, try praise and punishment to motivate them, and create an environment that encourages them to master that skill. But sometimes, we just have to wait for them to be ready. Just 4 weeks ago, I was despairing that my child would ever want to write or draw anything. He is five years old, and was about to start kindergarten. Yet, I could count on one hand the number of times he’d attempted to draw a picture. The only time he would write was if we made him do it to earn something. “Want a chocolate Kiss? OK, write the word kiss and you can have it.” His grandma started paying him a penny for every letter he writes for her, and despite that, he didn’t write much. This is in stark contrast to my older kids, but especially to my daughter who started drawing and trying to write when she was less than 18 months! And in contrast to one of his buddies, Jelly Bean, who sent him a lovely card covered with flowers and butterflies she had drawn when she was 3 and he was 4 and didn’t want to draw a straight line. Any time your child seems developmentally behind where you feel he should be, or behind other children, it’s always worth checking into. Look up developmental newsletters and checklists to check whether your expectations are reasonable. It could be you’re expecting too much, too early. If he’s not meeting the exact questions on a checklist, ask yourself whether he is doing other tasks which show that same developmental capability. For example, with my son, he was generally right on track developmentally. When it came to writing, I knew that the issue wasn’t that he didn’t understand letters, or the power of the written word. He was an early reader – beginning to read words at age 3, and reading chapter books by age 5. The issue wasn’t small motor skills – he could easily manipulate small lego pieces and small pieces in “experiments” he was working on. He just truly had no internal motivation to draw or write or paint. From time to time I’d suggest it. I would show him the fully stocked cabinet of art supplies, and he would walk away and do something else. He even took an arts enrichment class, called Creative Development Lab for a full year, and managed to never paint or draw a thing. So, there we were, on the brink of starting kindergarten and wondering if he’d even be willing to write his name. Then, overnight, for no external reason, he started drawing. And writing. A lot! And talking about how exciting it was that he had his own “art studio” (the art supply cabinet). And producing drawing after drawing. We went to the meet-the-teacher session at kindergarten and she asked him to draw a picture of himself. My husband and I looked at each other with doubt – what would he do? He happily sat down, drew a stick figure drawing (his first!) and wrote his full name next to it. 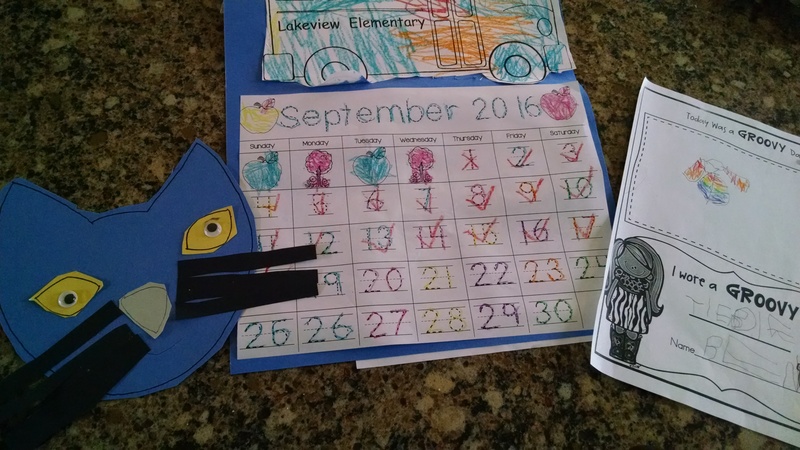 Now, one week into kindergarten, every day he brings home pictures he’s drawn, coloring pages he’s completed (mostly coloring inside of the lines when he chooses to do so), worksheets where he’s traced every letter carefully and well, and craft projects where he’s easily mimicked the teacher’s sample project. Over and over, we wondered whether he’d ever be willing to write or draw. But then, when he was ready, he leaped right into the deep end of non-stop creative work. It reminds me of the validity of the advice… sometimes you just have to wait for a child to be developmentally ready to make that leap in skills. 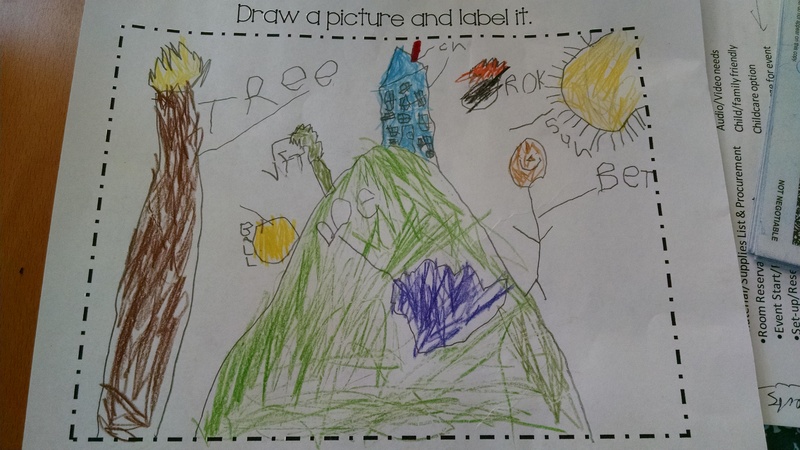 This entry was posted in Child Development and tagged child development, development, drawing, literacy on September 19, 2016 by Janelle Durham. When should kids learn to read? The Alliance for Childhood and Defending the Early Years just released a report called Reading Instruction in Kindergarten – Little to Gain, Much to Lose, discussed in a Washington Post article titled “Requiring kindergartners to read — as Common Core does — may harm some.” This post looks at what we know about children and early literacy learning. When I was a child in the 60’s, I came into kindergarten knowing how to read – I could easily read any picture book. I was the only real reader in the class – but I came from a big family of early readers. By the end of the year, my classmates were all expected to have their alphabets down, and more kids were reading. By the end of first grade, most kids were reading. Those who weren’t got a little extra help in second grade and were caught up by the end of the year. That may reflect the normal range in developmental capabilities. Recognize and name all upper- and lowercase letters of the alphabet. Associate the long and short sounds with common spellings (graphemes) for the five major vowels. Use the most frequently occurring inflections and affixes (e.g., -ed, -s, re-, un-, pre-, -ful, -less) as a clue to the meaning of an unknown word. [And, by the end of the year:] Read emergent-reader texts with purpose and understanding. But NOT ALL KIDS are ready to read at this young age! Kids develop in predictable patterns, but not at exactly the same rate. And they’re stronger in some areas at any given time than in others. For example, although my kids were early readers, they also each had areas they were “behind on” for their age, which were the challenges they needed to work on in kindergarten. along the way. The obvious example is the age that children learn to walk. Some children learn to walk as early as nine months, some as late as 15 months. But that is all normal and we all agree that the early walker is not a better walker than the later walker. … Some children learn to read at age three or four years, others not until seven years or later. That range is quite normal. The most compelling part of the reading research is that by the end of third grade, early readers have no advantage over later readers. Some later readers even go on to become the top in their class. 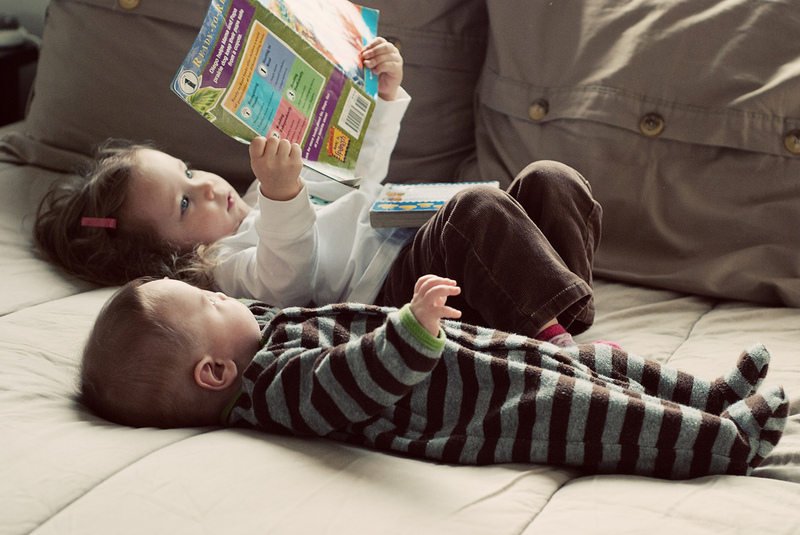 Reading early is not an indicator of higher intelligence. In fact, children at the top of their class in kindergarten only have a 40 percent chance of being at the top of their class at the end of third grade. And when teachers are asked to teach non-developmentally appropriate content, they have to do it in non-developmentally appropriate ways. Drills and worksheets are not the way kids learn. Well, in the short-term, they can be. Direct instruction CAN help children memorize specific facts and learn specific skills, but it doesn’t foster the curiosity and creativity that can be beneficial for learning in the long run. (Learn more in this article on “Why Preschool Shouldn’t Be Like School.”) And, the “boring” work can drain the passion for learning from our kids, which I believe is key for long-term academic success. And, for kids who aren’t developmentally ready for the work, it can make them feel stupid. I know of boys who weren’t ready to read at age 6 and 7. They learned at that age that they were “stupid” in school subjects and continue as young adults to think of themselves that way. What does the research show? There is no solid evidence showing long-term gains for children who are taught to read in kindergarten. In fact, by fourth grade and beyond, these children read at the same level as those who were taught to read in the first grade. So, what is developmentally appropriate for preschool and kindergarten? Play-based learning. play and hands-on activities that make sense to them, children’s knowledge builds in a gradual progression that is solid and unshakable. They build a foundation of meaning that provides the basis for understanding concepts in language, literacy, math, science and the arts. In active learning, their capacities for language development, social and emotional awareness, problem solving, self-regulation, creativity, and original thinking develop, transforming them into effective learners. peers and teachers, learn new vocabulary and use more complex grammar. As they build, make paintings, and engage in imaginative play, they deepen their understanding of word meanings. As they listen to and create stories, hear rich language texts, sing songs, poems and chants, their foundation for reading grows strong. What’s the evidence that play-based preschool and kindergarten works in the long-run? In one study, in the third grade there was little difference between students who had been in play-based preschools versus academic achievement programs. By 6th grade, the kids from the academic preschools earned lower grades than those who were in play-based preschools. A German study in the 70’s compared kids from play-based vs. academic preschools. In fourth grade, those from play-based programs excelled “on all 17 measures, including being more advanced in reading and mathematics and being better adjusted socially and emotionally in school.” So, they’re not only successful academically, but also socially. In an American study from the 60’s, children from impoverished households were assigned to either play-based preschools or to a scripted, direct-instruction approach. There were similar short-term gains for all children in the first year. But at age 23, there were significant differences. 47% of the kids from the direct instruction classroom needed special education for social difficulties versus 6% of the play-based alumni. When looking for preschool or kindergarten for your child, you can look for play-based options. If they are in a kindergarten that follows Common Core standards, you can look for ways to balance that out at home with lots of child-directed free play. You can create a literacy-rich home environment without pushing reading. If your child is ready to read young, they will do so. If they’re not ready, they won’t feel stressed or stupid. [In play-based settings] Teachers employ many strategies to expose children to rich oral language and print —without bombarding or overwhelming the child. These may include telling stories, reading picture books and big books, singing songs and reciting poems, reading from posted charts (using pointers to read along), drawing and writing with invented and conventional spellings, taking dictation from children, and helping children write their own stories. In organic and meaningful ways, teachers often use print — labeling block structures, cubbies, and interest areas, writing recipes, transcribing the children’s stories, and making charts for attendance or classroom jobs. This entry was posted in Early Learning / Preschool, Language & Literacy and tagged common core, kindergarten, literacy, play-based, preschool, read on January 20, 2015 by Janelle Durham. What kind of books do kids love? Young Toddlers (12 – 24 months): choose sturdy board books with only a few words on each page. Look for simple rhymes and predictable text (e.g. a repeating phrase that appears throughout). Look for simple pictures that match the text. They like books about things they see and do in their day-to-day lives, like eating lunch or going to the park, more than fantasy or books about exotic experiences. Aim for a mix of familiar books and fresh ones – kids love to hear the same book over and over – the familiar is comforting and repetition helps them learn. New books introduce new ideas and new things to fall in love with. At any reading session, offer multiple books and let them choose. Here is a printable handout on Literacy for age 2 – 6 and one on Pre-literacy for toddlers. Find more handouts on my Resources for Parent Educators page. This entry was posted in Child Development, Language & Literacy and tagged Books and Resources, development, library, literacy, preschool, read, toddler on April 29, 2014 by Janelle Durham.